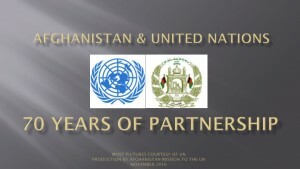 On October 1, 2015, a ceremony at the Permanent Mission of Afghanistan marked the end of tenure for H.E. Ambassador Zahir Tanin and the introduction of his successor, H.E. Ambassador Mahmoud Saikal. The Afghanistan delegation, led by Chief Executive Dr. Abdullah Abdullah, other dignitaries, diplomats, and Permanent Mission staff were present at the event. Dr. Abdullah thanked Ambassador Tanin for his service to Afghanistan and mentioned his achievements during his long tenure as Ambassador of Afghanistan to the UN. He congratulated Ambassador Tanin for his appointment as SRSG and Head of UNMIK. Dr. Abdullah introduced the new Permanent Representative, H.E. Ambassador Mahmoud Saikal as a seasoned diplomat with a good track record of successful negotiation. He wished him the very best for his tenure. 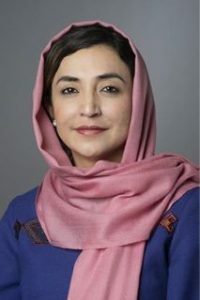 Ambassador Saikal is a senior Afghan diplomat and international development specialist with over two decades of experience with governments, international organizations, private sector and civil society. 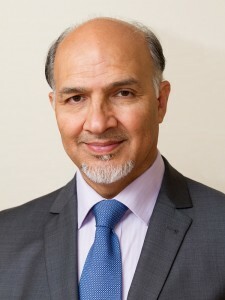 He has served as Special Representative and Senior Advisor to the Chief Executive of Afghanistan (primarily on foreign policy and international relations), Deputy Minister for Foreign Affairs of Afghanistan (economic portfolio), Ambassador of Afghanistan to Australia and New Zealand, First Secretary and later Counselor Minister Plenipotentiary at the Embassy of Afghanistan in Tokyo. Ambassador Saikal has been instrumental in the negotiation of various agreements, including the 2014 agreement on the formation of the National Unity Government of Afghanistan, the “Joint Declaration on Regional Peace and Stability” a track II initiative launched in Kabul in 2013, the “Afghanistan Compact” which was launched at the London International Conference on Afghanistan in 2006, as well as the 2006 Afghanistan-NATO Declaration, which set out the Framework for Enduring Cooperation in Partnership. He has been deeply involved in the promotion of regional cooperation, resulting in Afghanistan’s membership in South Asian Association for Regional Cooperation (SAARC) and Central Asia Regional Economic Cooperation (CAREC), strengthening Afghanistan’s membership in Economic Cooperation Organization (ECO), and formulation of the process of Regional Economic Cooperation Conferences on Afghanistan (RECCA). He has a Master’s Degree in International Development from Deakin University of Melbourne, as well as two bachelor degrees from the University of Sydney and the University of Canberra. He graduated with First Class French Baccalaureate from Lycee Esteqlal of Kabul. Ambassador Saikal starts his tenure on October 6, 2015.